Are disabled drivers exempt from paying the higher rate of VED on cars costing over £40,000? What can I use to restore and protect the hood on my convertible? Checking the health of your car's battery could prevent a frustrating breakdown on a longer journey. Do you know when and why some manufacturers introduced the switching of fog lights on and off when turning at slow speed? I don't think that this is part of the (rather ill-conceived) EU Directive on daytime running (DLR) lights. It is highly distracting (even comical) when advancing across multiple mini-roundabouts. The DLR Directive would have better to have demanded the side lights/parking lights/position lights be on when the engine is running (front and rear), but with some restriction on lumens. As it is, I see people driving in bad weather (e.g. fog) and even at dusk with only the DLRs at the front. This is quite apart from the ridiculous level of light intensity and shapes of some DRLs. Some cars even switch them on when they are unlocked and not running (which rather contradicts the idea of being daytime-running lights). Do you think that this is something we can repeal once we exit the EU and bring some sanity? This is usually an enhancement for higher spec models. I first had it on a Peugeot 207 1.6THP 150 GT abut 12 years ago. There haven't been a lot of complaints since then. Yours is about the 5th in a total of at least 500,000 in the period. Once we’re out of the EC and back to farming our gardens, the government will have to concentrate on keeping us alive rather than worry about DRLs. The other paper is giving outdated advice based on old unleaded gasoline in the ancient tech cars of the 1960s and 1970s where, by using 98 Octane every 3rd fill, you cleaned up some of the damage caused by using ordinary 95 Octane fuel for the other fills. Because current unleaded branded Super gives more torque and therefore cleaner performance at low revs, because it also contains a package of additives and because some engines are optimised for 98-99RON Super anyway, my advice is to use it all the time. I find it extraordinary how so called 'journalists' who know nothing are allowed to perpetuate damaging old myths without any evidence to support them. I've been using Superunleaded since it was first introduced (Texaco Cleansystem 3 that was guaranteed to clean up an engine.). Gas tests on my own cars showed a massive decrease in harmful emissions. Every day 5 - 10 readers endorse my recommendation. Another myth that know nothing journalists endorse is "few things in life are as reliable as a Volkswagen" (even after the NOx scandal that exposed VAG as the cheapskates they really are) and "German cars are the best quality". I have a massive databank that proves the opposite is true. So don't believe all the crap you read in the papers. I read your column every week usually looking to see what you have to say about KIAs. Having had 8 years of service from a 2008 Picanto (which has now been passed onto my son-in-law) I am now enjoying a 2017 Picanto, purchased 6 months ago. Although my first Picanto, actually a Cat D write-off, came with a minimal guarantee, I was (and am) blessed with a local garage who, through servicing the Picantos run by a local rental company, knew all the ins and outs of the car, which means that my 70,000 miles have been trouble-free. Let us just hope that my newer and more sophisticated one is as good as its predecessor. KIA's 7-year warranty actually costs the company very little money because the cars are genuinely well built in the first place. You may question why VAG cars, Fords and many others come with a mere 3-year warranty. My neighbour, in Scotland, used to run a garage and still has a huge collection of spare parts and accessories for cars that no longer exist. He’s been retired many years. He doesn’t have the time or capacity to sell individually on the likes of eBay. What is the best way to sell these items, in bulk, or in batches, that will realise the most value? Are there any specialist sales in Scotland, for instance? And how best to determine what these items are actually worth? Any advice greatly appreciated. Best to separate the parts for individual makes, then offer the parts collectively to the relevant car clubs. If he can't be bothered, he's going to have to call in an obsolete parts specialist and take an offer for an unsorted bulk buy. Some people actually love cataloguing these things and becoming the 'go-to' guy for old unused parts, or offering them on eBay. Google <Obsolete car parts specialists> and you'll find them. I’m an avid follower and was, until 3 years ago, Scottish Editor and still a contract writer for the Telegraph. I’d be grateful for some advice. 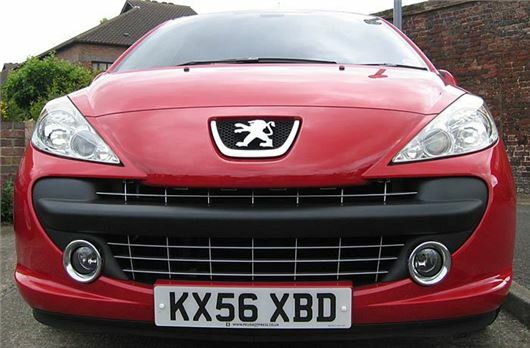 I want a cheap second car: max £5,000. Smallish, manual, petrol or diesel, 5 door. A pal, a former garage owner, says it’s got to be Polo or Golf but Honest John seldom says nice things about VWs. Grateful for any advice. It's not me. It’s the oversold, myth-believing readers who "rarely say nice things about Golfs": 228 complaints against Golf VIs: /carbycar/volkswagen/golf-vi-2009/good/ 120 complaints against the Golf VII so far: /carbycar/volkswagen/golf-vii-2013/good/ Polos have been slightly less of a let-down: /carbycar/volkswagen/polo-v-2009/good/ Journalists that either don't know, or like to stay sweet with VW, perpetuate the myth. I'd go for a Honda Civic 1.8iVTEC manual or 5-speed auto, but NOT the Civic i-shift. My wife drives a Suzuki Ignis SZ-T Dualjet, purchased new in March 2017. It has only 10,500 miles, so you can understand that I was alarmed to notice, when checking the tyres yesterday, that there is only about 3mm wear remaining on the front tyres and about 4mm on the rears, fairly even across the tread. Excessive tyre wear has not been a problem on my wife's previous vehicles, so I don't believe her driving style is to blame. The factory fitted, tyres are Bridgestone Ecopia 175/60 R16 82H and my local dealer is suggesting Bridgestone B250 as replacements. The only other factor is that the car's suspension has had a Suzuki modification to firm up the suspension which used to "bottom out" when fully laden. Should I be expected to replace tyres at this stage or is there another explanation? It's a small, tall car on comparatively narrow tyres, so that partially explains the wear. The brand and type of tyre could be the other reason. Try switching to Michelin Energy Savers or Primacys. My wife is permanently wheelchair-bound and is finding it increasingly difficult to access the passenger seat of our Hyundai i30. Is there a front passenger seat available that can swivel so that the seat faces the door, thus making access much easier? Once she is in the seat it could then be swivelled to face the front and locked in place. Failing that do you have any recommendations regarding handicapped vans that can take a person in a wheelchair safely. Are these available second-hand? Yes, lots of options, both mechanical and simply using cushions. Google <Disabled swivel seats for cars> (With Google it's usually just a matter pf phrasing what you want in the most direct way.) We are thinking of setting up a free classified section to enable owners of vehicles equipped for the disable to offer them to other people with the same needs. My SAAB 9-3 Aero convertible reacts to cold weather by reducing mpg by at least 6. Should I blank off part of the radiator as I used to do with vintage cars? This suggests very sort journeys of less than ten miles from cold starts. Another way is to keep the revs up to around 2,000rpm (not more than 2,000, but not significantly less). This helps the engine heat up faster. But, with a turbo petrol SAAB there should not be a problem because the water-cooled turbo should be heating the coolant up very quickly. I have been looking for a new car for my wife , and have seen quite a few, but I don't really like all the new technology or 1 litre engines tweaked to the edge, so seriously thinking of KIA Soul GDI Petrol. Also, the seating is elevated and you can see the front of the bonnet. What do you think? The petrol versions are a more solid buy than the diesels. A friend of mine Australia has an Outback in the Australian Outback, where, as the name implies, it's one of the most popular cars. About 3 years ago I bought some Cannabis resin. It stank. At the end of my working week I took my vehicle for servicing. The smell was reported to the firm I worked for and I believe the DVLA. At the time I had been using the drug for 40 years for pain relief, PTSD and relaxation. I filled in a DVLA questionnaire truthfully and subsequently lost my licence and job. At the time I was being prescribed Codeine, which I carried on taking for 18 months. Not wanting to test positive for opiates, l got some Naproxen and subsequently failed another test for THC, although I hadn't consumed Cannabis for 18 months. I never drove while under the influence, but it only takes an inconsiderate Doctor to prescribe the wrong drug to foul up your life (beware Naproxen/Ibuprofen). Fair warning. It will be issued to readers. I have a 1991 red Peugeot 205 1.9GTi, which I love. I have lost count of the number of people who approach me to buy it, but I will never sell. However, it is only a matter of time before someone crashes in to me. My question is, what do I replace it with? It must be iconic and sporty with good carrying space and preferably non- European to protect its value when the EU imposes draconian trade terms on the UK. Budget up to £15,000. I had one in the late 1980s. (We all did.) Brilliant. Nothing much has come close except for the 2nd and 3rd generation Fiesta STs (or even the first gen Fiesta ST). A cheaper option, not as powerful and not as fine a drive is the Suzuki Swift Sport 1.4T Boosterjet. Forget the apparently 'equivalent' Corsa, but the Polo GTi is not too bad. Being retired, living in a very rural area and making only occasional use of a vehicle for mainly short journeys, I thought a Mitsubishi PHEV an ideal selection for economical travel. Purchased new in March 2017, so it proved, using EV power for short journeys readily topped up by my home charger and little need for petrol. Things went well until October 2018 when the vehicle failed to start. This, Mitsubishi said, was due to a flat auxiliary battery, which was dealt with by removing the car to my local dealer for testing and recharging. The battery was tested with a “Good” report. The same thing happened again in late November with the same result when I was again assured nothing was wrong with the car or batteries, but that perhaps “I was not using the car enough and should use it more or alternatively start it and let run for 20 minutes or so a couple of times a week”. I found this explanation unacceptable, raising the fact that on this basis anyone using an airport car park for a couple of weeks would almost be guaranteed to require a jump start upon their return. They refused to replace what they considered a “Good” battery as shown by testing carried out. Well, the vehicle failed to start again last Friday with the same collection, test and battery recharge overnight on Friday. I arranged for the dealer to keep the vehicle over the weekend and to retest on Monday morning (today). The battery test again showed “Good battery but requires recharge”. The vehicle had been in storage over the weekend and not used meaning there was either a discharge / drain, or the battery was failing to keep its charge. The dealer says they can still find no reason for this and will contact Mitsubishi UK to enquire whether any similar problems have been experiences elsewhere. Have you any experience of similar repeated problems and potential causes? I will not be convinced by the simple provision of a replacement battery, unless they can categorically state that all vehicle systems are in order. If they cannot I would have lost faith in the vehicle and feel in its present state it is not fit for purpose and perhaps should be replaced. Any advice would be appreciated. I can understand this because the same used to happen with the 12v starter battery of my father's Toyota Auris self-charging hybrid. It basically means that if you don't use the car often enough to drive distances, you need to keep the 12v battery on constant charge. You can probably do this with a CTEK, Accumate or Ring battery conditioning float charger, but you need to check first that this is okay with Mitsubishi. You will still need to drive the car distances at least once a month to cycle the 12-volt battery. I own a Skoda Octavia vRS estate, bought new at the beginning of 2012. Although the car is now 7 years old and has covered approximately 58,500 miles, it still meets all my needs in respect of space for the family, holiday luggage, etc. and has been 100% reliable to date. Plus, I really enjoy driving it and so I’m planning to hang on to it for a little longer yet. I’ve always ‘looked after’ the car; I have it serviced every year by the Skoda main dealer in Derby and have always followed your advice in respect of running it on branded super unleaded (such as BP Ultimate), always letting the turbo spool down after a motorway run, etc, etc. However, my question is whether there’s anything else I should get done, or be planning to have done in future, in the interests of the car’s longevity? Well, this has the EA888 engine with a timing chain. The chains were of very variable quality due to typical VAG cost cutting. The engines could also develop a piston ring problem leading to heavy oil consumption. And because they were DI engines they were vulnerable to coking their inlet valves. You might have helped prevent the last problem by sticking to Super. And if you have been keeping the oil clean you will have helped with the first two. I have a 1990 BMW 318i Touring first registered in the UK in 1991. It has FSH with one owner from new, 118,000 miles on the clock, undamaged bodywork and no visible rust. I have been approached by several strangers asking if I wished to sell it, so it seems to have an unexpected attraction for some people. If I do decide to sell it can you suggest the best way to tap into this market please? You should get petrol. You won't get a lot of passive regeneration on your daily drive. If pre-reg on an 18 reg then this will be EU6c, not the latest EU6d (Temp) WLTP and this will have implications for eventual resale. Diesels are taking a massive hit in value so a big discount upfront may not be enough to make up for this later down the road. 3 years ago my son purchased a brand-new Vauxhall Astra 1.4T SRi hatchback. Just before Christmas 2018 he hit some black ice on a roundabout and crashed, into the safety railings. His insurance company has written his Astra off. A settlement figure has been agreed and everything has been finalised. The insurance company told my son that if he purchased another car, he would have to contact them and pay a 'change of vehicle' fee to put his new car on cover. His Astra insurance policy cost £1,200 and has 11-months left to run. Last Saturday my son bought himself a 2016 Ford Fiesta 1.0 Zetec-S Ecoboost. He has just contacted his insurer and they want £460 to transfer his Fiesta onto his existing insurance policy. This seems rather steep to me and suggests the insurance company is using the 'change of vehicle' request as an opportunity to recover some costs. Maybe they are entitled to do that? I expected the Fiesta to be a cheaper car to insure than the Astra SRi. I didn't expect my son's recent accident to significantly affect his insurance premium until renewal. Does the £460 'change of vehicle' fee seem reasonable to you, or are we being taken for a ride? What can happen in the event of a write-off is that the existing policy is terminated. You insure a car. You write it off. The insurer pays out. That's it. Start again. But in this case, the claim has lost him his No Claims Discount that had brought the premium down to £1,200. So now he’s starting again without the NCD and that’s why it has gone up so much despite a car in a lower insurance group. DRLs as currently fitted are dangerous. The OP may have seen them used in poor visibility and at dusk; I have seen them being used as the only source of light as late as 1am on badly lit roads, and at 80+mph in thick fog on the M6. Does someone have to be killed or seriously injured before any public body takes notice?? Nightmare. Thankfully we are approaching lighter nights! This should lessen the optical barrage caused by the multitude light fittings and brightnesses. The worst offenders have to be the French cars. Citroens & Peugeots are far too bright. Nissan Jukes however are really taking the p***, 6 sets of lights hitting you with the power of Captain Kirks phasor... Beam me up Scotty... Please! Stupid comment and not relative to a motoring 'magazine'. Yes, more Remain assertions masquerading as fact. Good job HJ knows more about cars. Still, they'll all soon be creaming themselves when ART 50 is inevitably revoked to spite the ignorant and stupid voters and we remain entrapped in an organisation that needs to threaten its members into staying within it. But HJ won't mind either way, as he can always remain in his favourite land some 6,000 miles away. IMO, of course. "Once we’re out of the EC and back to farming our gardens, the government will have to concentrate on keeping us alive rather than worry about DRLs.' Stupid comment and not relative to a motoring 'magazine'. I'd like to know the facts behind his opinions. None given here. The opinion of stupidity is valid and the fact that this is a motoring forum/magazine is also true. So what's the issue ? HJ motoring opinions and information used to be readable and informative, but here his comments are neither accurate nor applicable to the topic. After the next general election he should either resign or provide facts to prove himself right. Until then, stay on topic. It seems exraordinary to me that if someone holds an opinion different from one'sown, he is necessarily stupid. It demonstrates an ignorance of the meaning of the adjective stupid. "I'd like to know the facts behind his opinions" says angry gammon....how ironic, another oxym****. Like the lies on big red buses back in 2016. You not knowing something does not make the other person wrong. Relax, get your hoe out. Brilliant, funny and relevant, well said HJ - especially when close to 700,000+ people took themselves to London Town to march peacefully for their valid but unrepresented opinions! Once we’re out of the EC and back to farming our gardens, the government will have to concentrate on keeping us alive rather than worry about DRLs. I look forward all week to the Friday night compilation of questions. Another great week this week. And I properly laughed out loud at this pithy aside. Keep it up HJ. I love your work! I've been reading HJ for over 20 years and even when I used to buy the DT (haven't done that for a long time now) the old Saturday Motoring section (again in the old days when it was really worth reading) was the first port of call. (He also gave me a great opportunity to get a feature of mine published - sadly a one off. But I digress. So pleased that he has this website and yes, he must keep his comments going. Oh, and his car advice is all cool and good too! "I can understand this because the same used to happen with the 12v starter battery of my father's Toyota Auris self-charging hybrid." Thanks Heidfirst - that's the kind of information that makes it worthwhile reading the comments here. The Kia Niro self charging hybrid has its 12v battery as part of the hybrid battery. Should the 12v run flat, there is a switch on the dashboard that recharges the 12v battery from the electric engine cells. Simple fix as the bigger battery always has enough power because of the way the software prevents it being run down. Many thanks Westerman. I didn't know that. I do now and will putyinto the 'Good' section of the carbycar entry. Instead of the DRL madness we need sidelights front and rear that come on automatically then light sensors that put them up to heads as it gets darker. The crazy foglight madness can be resolved by making them go off above 30mph. If you can drive at more than 30 the fog can't be that bad to need foglights. Simples. Before alarming readers who take Naproxen, or other non-steroidal anti-inflammatory medication, for a valid medical complaint, it is important to rebut this post. It has been postulated for some time that NSAIs might cause a false-positive result when screening for marijuana usage - and studies have been conducted, particularly in the US where marijuana usage is even more common than in UK - to test the hypothesis. The scientific consensus is that false positives due to taking an NSAI are not proven, and if they do occur, only very extremely rarely. There is no reason for doctors or pharmacists to warn patients that their medication may "foul up their life". If we accept that IA had not been using cannabis, then a more likely explanation might be that he has been frequenting environments where others have been smoking marijuana and he has fallen victim to "passive smoking". To be fair, DRLs are better than nothing and I can recall seeing plenty of people driving without any lights in the conditions you describe, notably thick fog. I hate to disagree, but I suspect many people see the reflected light from their DRLs and think they have switched their "proper" lights on; also, and as pointed out up-thread, some DRLs are so bright, you are not sure if that oncoming car is using headlights or DRLs until you look in the rear-view mirror and see darkness;. At least if they have NO lights; a/ the darkness might clue them in and b/ oncoming traffic will flash THEIR lights at them. Obviously this doesn't work with the drunk or brain dead; like those driving at 80mph in fog so thick I wasnt happy doing 30mph. (You couldnt even read the junction signs much of the time). "... and preferably non- European to protect its value when the EU imposes draconian trade terms on the UK. Budget up to £15,000"
"Once we’re out of the EC and back to farming our gardens, the government will have to concentrate on keeping us alive rather than worry about DRLs." The funny thing is, for the longest time I thought HJ was seriously anti-EU. Like in the video where he was complaining of "your taxpayer's money which is spent on ferrying parliamentarians from Brussels to Strasbourg". But you never can tell -- even Clarkson is on the record as a Remainer. Want the latest car news and offers?